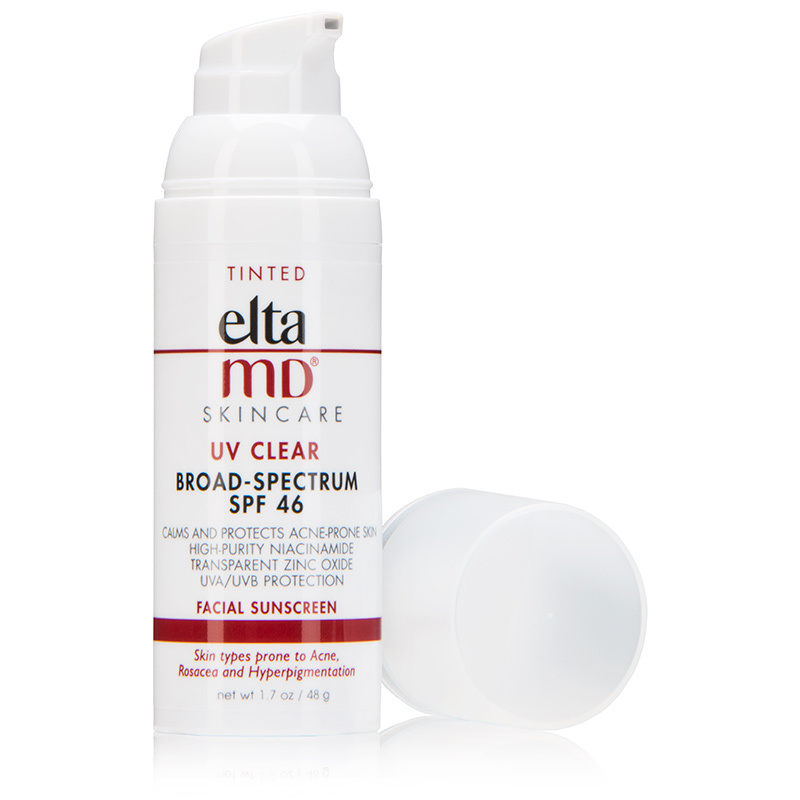 EltaMD UV Clear Broad-Spectrum SPF 46 Tinted provides protection to your complexion to shield harmful UVA and UVB rays from causing damage. The smooth formula features hyaluronic acid to moisturize while lactic acid refines the skin to clear pores and reduce shine. Fragrance free. Apply liberally to face and neck 15 minutes before sun exposure. Use a water-resistant sunscreen if swimming or sweating. Reapply at least every 2 hours. Active: Zinc Oxide 9.0%, Octinoxate 7.5%. Inactive: Purified Water, Cyclopentasiloxane, Niacinamide, Octyldodecyl Neopentanoate, Butylene Glycol, Hydroxyethyl Acrylate/Sodium Acryloyldimethyl Taurate Copolymer, Polyisobutene, PEG-7 Trimethylolpropane Coconut Ether, Sodium Hyaluronate, Tocopheryl Acetate, Lactic Acid, Oleth-3 Phosphate, Phenoxyethanol, Iodopropynyl Butylcarbamate, Isopropyl Palmitate, Octyl Stearate, Iron Oxides, Triethoxycaprylylsilane.